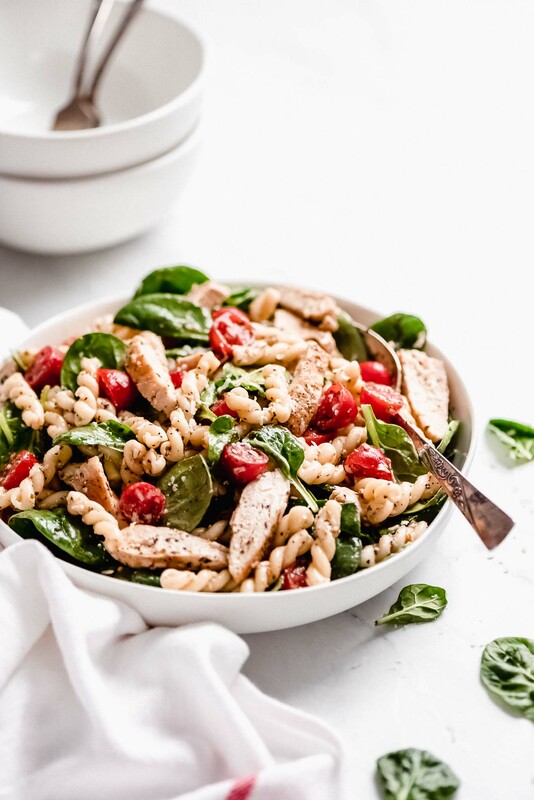 Chicken Pasta Salad with Spinach & Tomatoes | Garnish & Glaze – A refreshing simple dinner filled with fresh veggies, seasoned chicken, pasta, and Parmesan cheese. 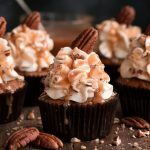 This flavorful salad is great for warm weather gatherings! 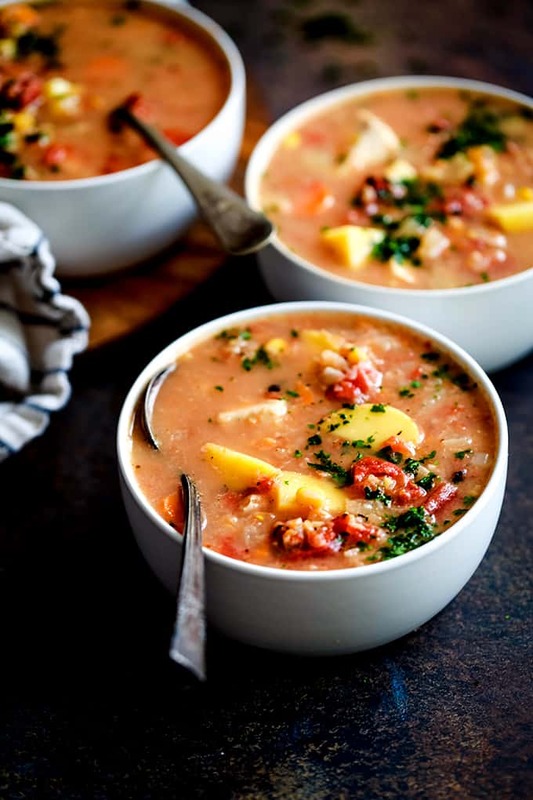 Slow Cooker Chipotle Chicken Soup | Melanie Makes – This smokey Slow Cooker Chipotle Chicken Soup comes together in just minutes, making it one of the easiest – and most delicious! 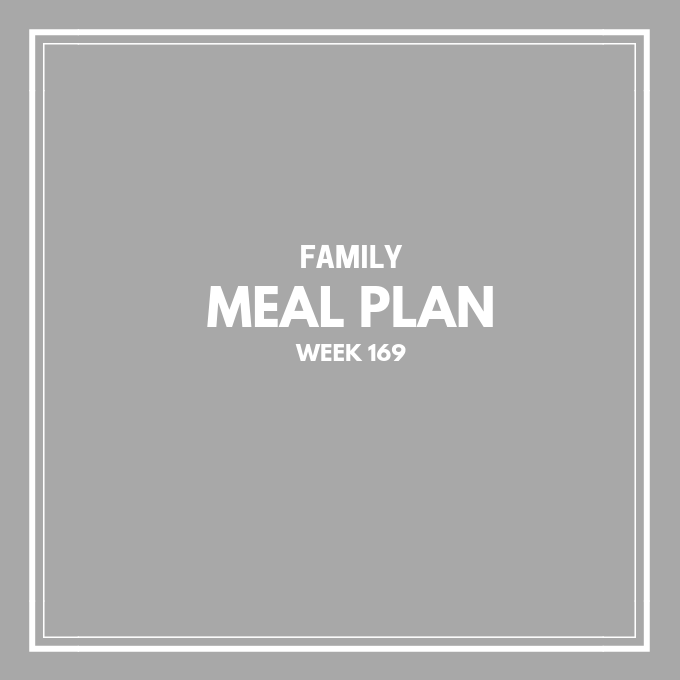 – meals you can prepare any night of the week. 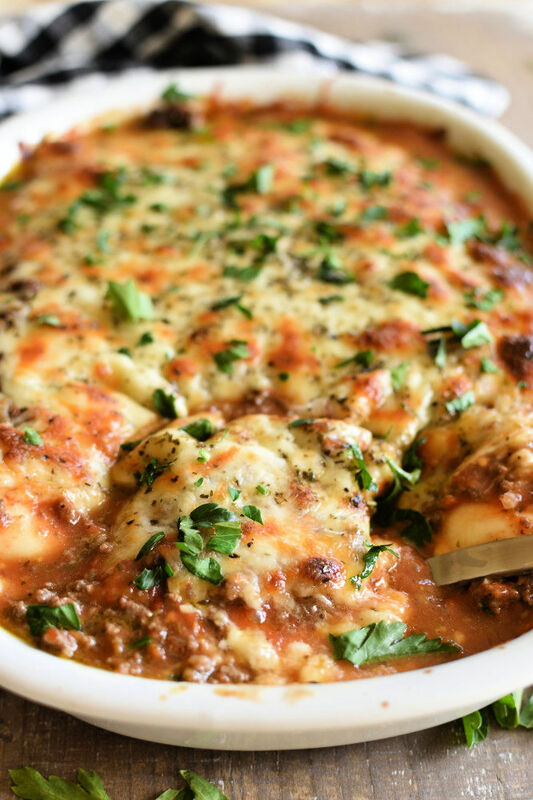 Make Ahead Ravioli Casserole | Little Diary on the Prairie – It only takes a few minutes, and four simple ingredients to make this casserole recipe. 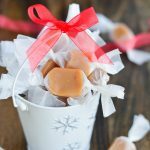 And it can be made ahead of time which is essential for super busy moms! 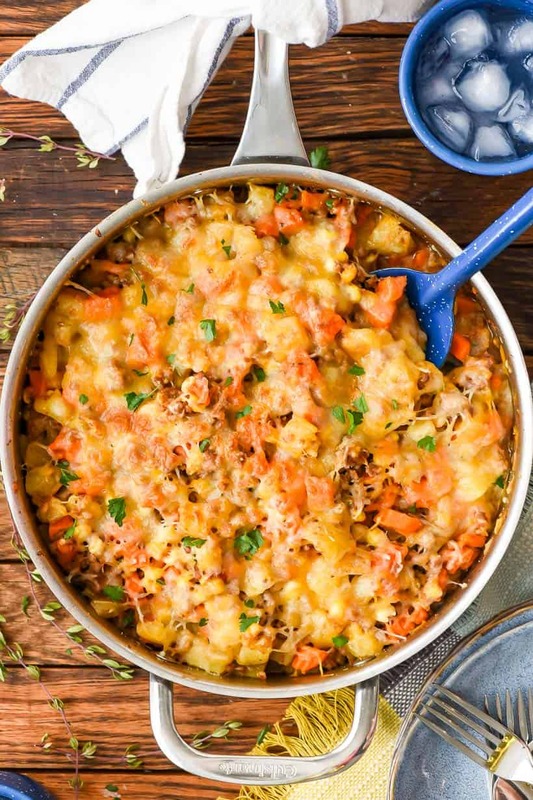 Ground Beef & Potatoes Skillet | Neighbor Food – Loaded with veggies and covered in melty cheese, this Ground Beef and Potatoes Skillet is a hearty one pan meal the whole family will love! 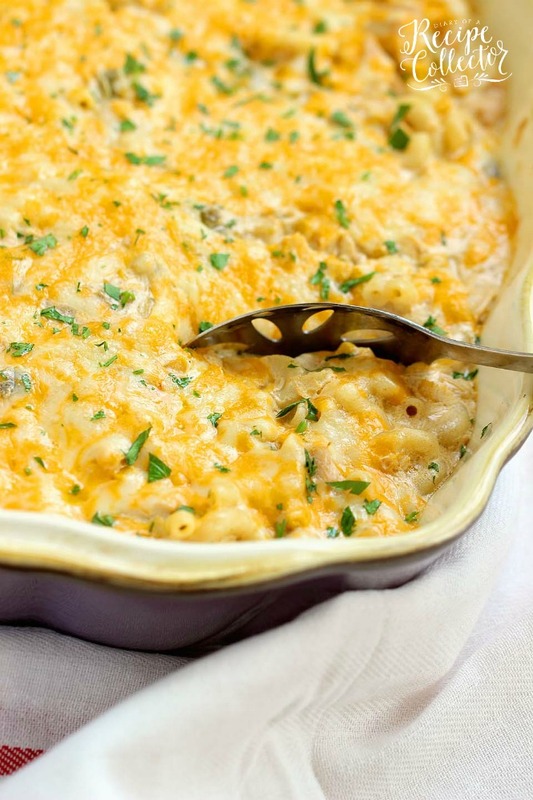 Green Chili Chicken Mac & Cheese | Diary of a Recipe Collector – This hearty all-in-one macaroni and cheese dinner idea is filled with chicken, green chiles, corn, and of course all the creamy cheese! 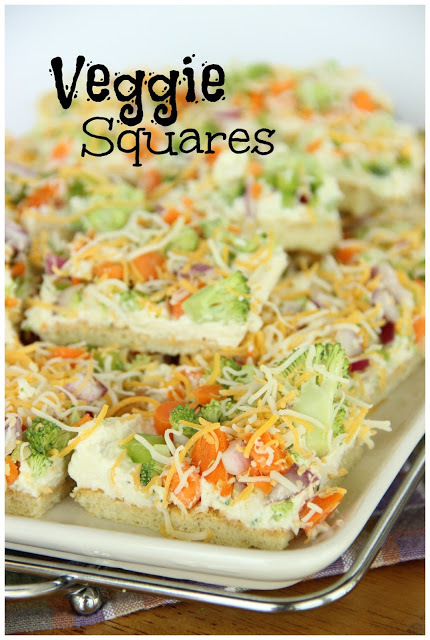 Veggie Squares | Diary of Recipe Collector – When you want a break from the ordinary vegetable tray, this is the way to go! 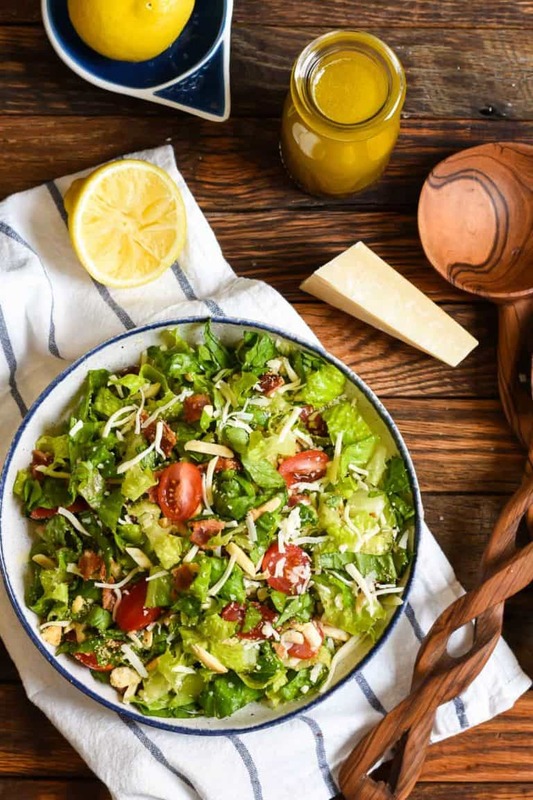 That Good Salad | Neighbor Food – his much-requested recipe has everything a good salad needs–fresh greens, crunchy nuts and croutons, a bright garlic dressing, and bacon, of course! 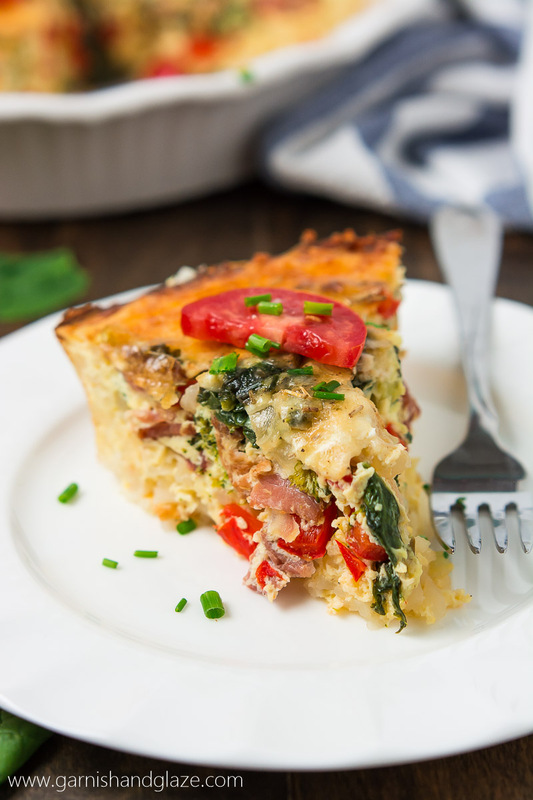 Gluten-Free Bacon Veggie Quiche | Garnish & Glaze – This veggie filled quiche is perfect for Easter! 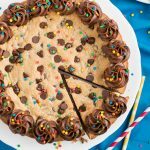 It’s naturally gluten free with a delicious hash brown crust. 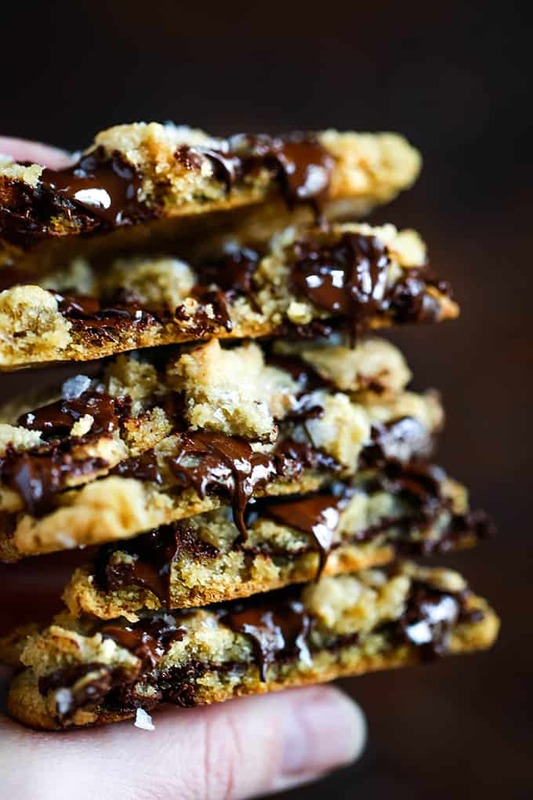 Salted Chocolate Chunk Cookies | Melanie Makes – Studded with dark chocolate chunks and sprinkled with sea salt flakes, these soft and chewy Salted Chocolate Chunk Cookies are insanely delicious. 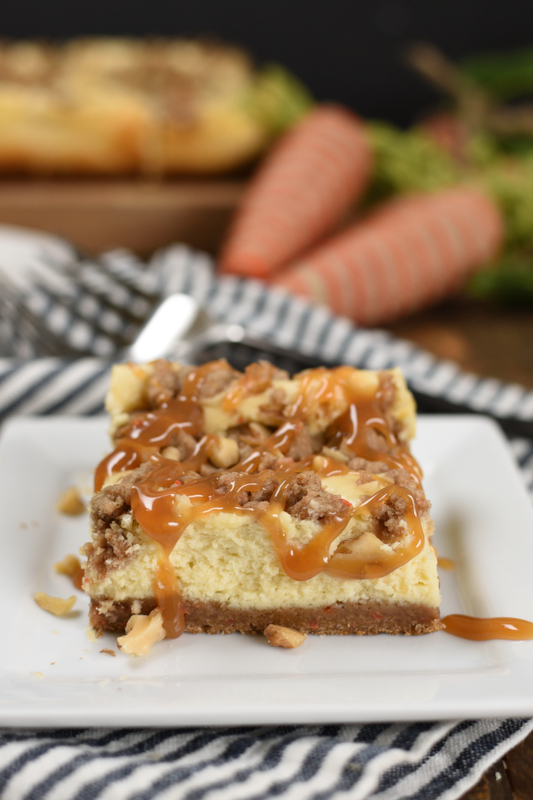 Carrot Cake Cheesecake Bars | Little Diary on the Prairie – Carrot Cake Cheesecake Bars are a super easy dessert, yet impressive! 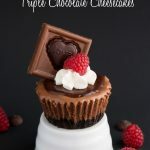 The crust is make from a cake mix, and the cheesecake layer is incredibly divine!